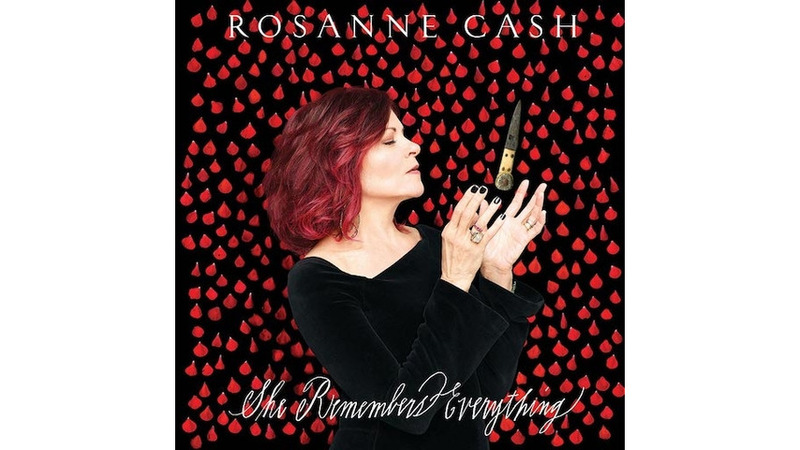 Rosanne Cash is a powerful voice in country music. Last year, following the mass shooting at a country music festival in Las Vegas that killed 59 people, Cash penned an essay for The New York Times rallying for stronger gun laws and action from musicians in the country community. “I’ve been a gun control activist for 20 years,” she wrote. Indeed, Cash’s voice has long a necessary one among the traditionally conservative and/or politically hushed body of fans and artists who exist at Nashville’s countrified core. However, on her new album She Remembers Everything, the follow-up to 2013’s acclaimed The River & The Thread, Cash is more concerned with the personal than the political. More than anything, she seems to wish comfort upon her listener; the songs envelop you in simple chords and caring words. On She Remembers Everything, Cash seeks to understand—not only herself, but those around her—and how best to usher in peace despite prevailing tumult. Often using biblical imagery and lyrical metaphors, Cash creates in this album something of an oasis. She speaks on “Crossing To Jerusalem” of the day when “We’ll be crossing to Jerusalem / with nothing but our love,” a sentiment that’s sure to fit in snugly alongside the warm, hopeful sentiments soon emerging with the holiday season. Though Cash refrains from direct political speech on this record, she offers solace amid the political unrest, choosing to focus on personal connection rather than polarization as we near the end of a chaotic, divisive year.